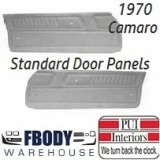 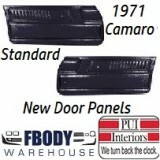 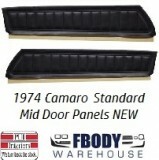 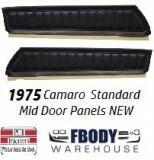 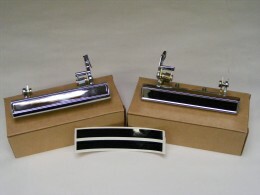 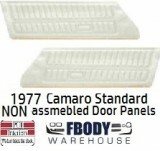 Our door panel install kits work great with both factory installed door panels and also new reproduction door panels. 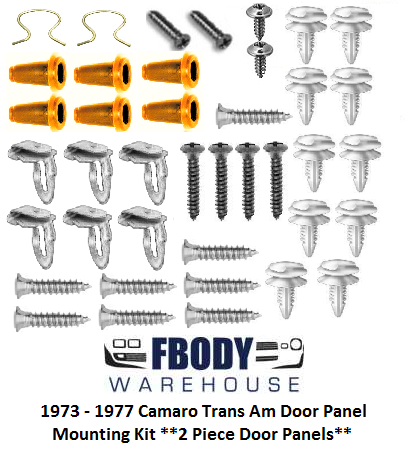 You have a choice of our two style kits for the factory 2 & 3 pc door panels (73-77) models, or the later style kits for 1 pc door panels. 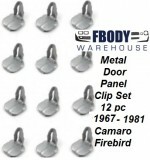 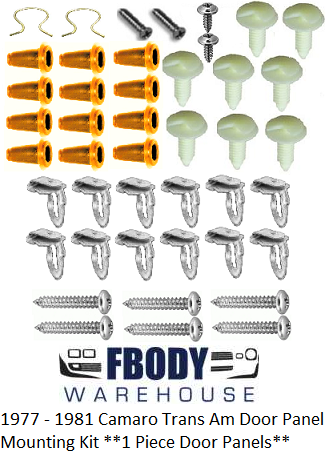 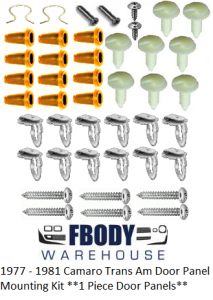 Use the drop down box below to choose the kit for your cars needs. 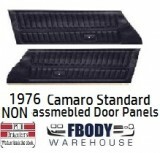 1973 – 1977 Models with 2 & 3 Pc Door Panels.